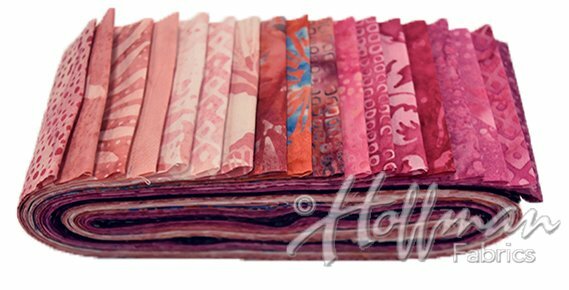 Hoffman Bali Poppies are pre-cut selections are 20 different, coordinated batiks cut into handy strips measuring 2-1/2"x 42" Hoffman Bali Batiks. 100% cotton. Hand-dyed in Bali.